Managing medical equipment is a daily challenge in any healthcare facility. Simply keeping tabs on their location as your staff provides the highest possible levels of patient care can be extremely taxing, if not nearly impossible. Given the extreme investment you've made in cutting edge medical equipment, it is extremely important to ensure that your devices are fully functional and reliable at a moment's notice. 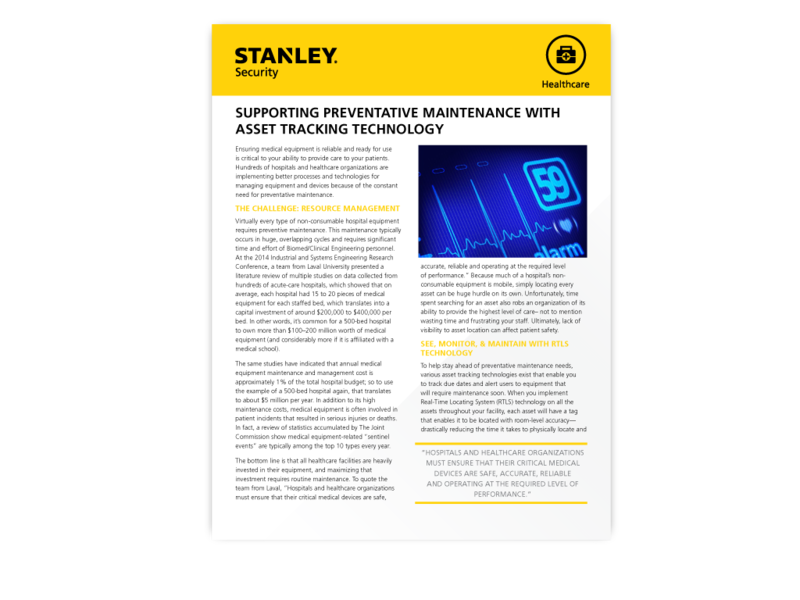 Routine maintenance is critical; however, keeping this maintenance up-to-date can be just as challenging as tracking assets throughout your facility. That's where Real Time Location System technology (RTLS) comes into play. This article highlights a few key advantage RTLS technology can deliver to your healthcare facility, and help you ensure that you are always ready to deliver the highest level of patient care.